The design of the A I R cardigan is modern and minimalistic. Simple and clear do the lines of the Brioche pattern marry up with the light and airy welthase yak lace and kidsilk yarn. Here shape and pattern create an elegant, airy appearance. Knitted two stranded with the beautiful welthase yak lace and welthase kidsilk, the cardigan is light as a feather: it weights less than 400g. 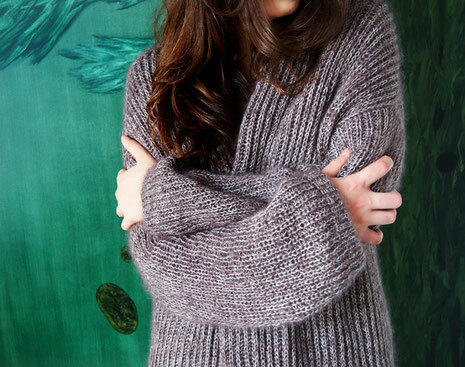 The A I R cardigan is knitted double stranded seamlessly top down in Brioche (or Fishermans Rib) Pattern. 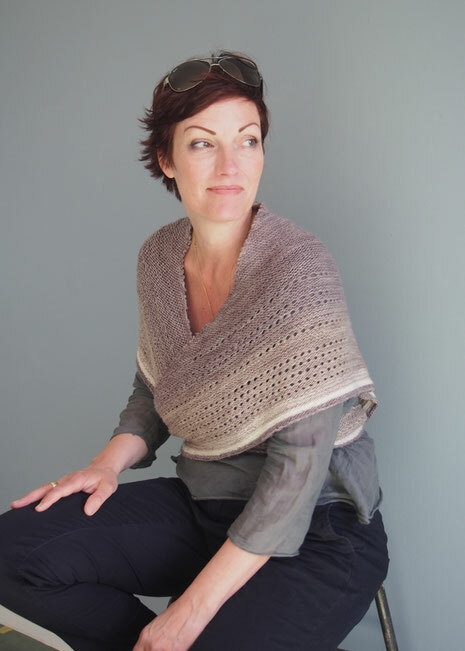 I´m offering A I R cardigan KITs in beautiful colours. The BOMBUS cardigan is a vintage take on a classic bomber jacket with a fashionable texture and lovely colour details. 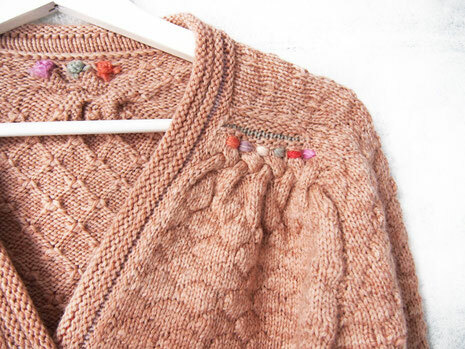 The BOMBUS KIT contains all you need to knit this lovely cardi except the pattern. 5 sizes are available in main colours. The other yarns for the colour details are matching each main colour perfectly. SIAM LOVE KIT in different colour ways! The beautiful picot edging is stretchy and soft. The special shape offers the opportunity to wear it the Danish way by binding it round the back and create a feminine neckline. Easy to wear it as a shawl around your neck as well, this splendid shawl has a lot of potential to become your favourite piece. The colour changes and the eyelet rows will keep you going throughout the project, since the real colour effect will only be revealed after you have finished your very last row. There are many colour combinations to choose from. On Ravelry you can find some beautiful finished objects. For more impressions and the pattern please click here!